Help RDC Youth perform in Australia! We are requesting support towards an incredible and life-changing experience for Rutherford Dance Company Youth (RDC Youth) to perform our 2018/19 signature work IMMI on an international stage at the inaugural Australian Youth Dance Festival (AYDF2019) and to participate in a collaborative international exchange with Australian based Flipside Youth Dance in July 2019! AYDF2019 Festival will bring RDC Youth dancers into contact with others from round the world for five incredible days immersed in creativity. Most RDC Youth alumni go onto vocational training and this is a real opportunity for them to get experience on an international stage and to push themselves further. The festival will be a time of curiosity, rigour and freedom inspired by professional dance artists and by their exposure to other approaches to contemporary dance with groups from Taiwan, India, Ghana as well as Australia, UK and Europe attending. There will also be a week long collaboration with Flipside Youth Dance - a youth dance company in Newcastle, New South Wales and a full programme of workshops during the festival. 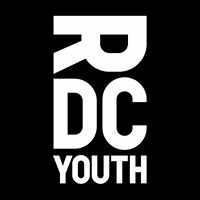 RDC Youth is only ONE of only FOUR U.K. groups selected to perform next year in Melbourne and we are super excited to once again be representing the U.K.'s second city of Birmingham internationally! RDC Youth represented Birmingham and the West Midlands at the opening of the inaugural Commonwealth Youth Dance Festival in Glasgow, Scotland in 2014. This year I was a Team Leader for the 2018 Commonwealth Games live televised Handover Ceremony from Sydney to Birmingham (choreographed by Rosie Kay of Rosie Kay Dance Company). We are seeking financial assistance towards the cost of travel, accommodation, expenses and participation to help us bring this amazing opportunity to fruition! RDC Youth is committed to diversifying the next generation of dance talent. Young people from lower socio-economic backgrounds are recruited and funds raised via contributions for this opportunity will deliberately ensure that family/personal finances do not prevent individuals from taking part. Your generosity will be greatly appreciated and will allow RDC Youth to continue to provide world class training and performance opportunities to all of our company members.